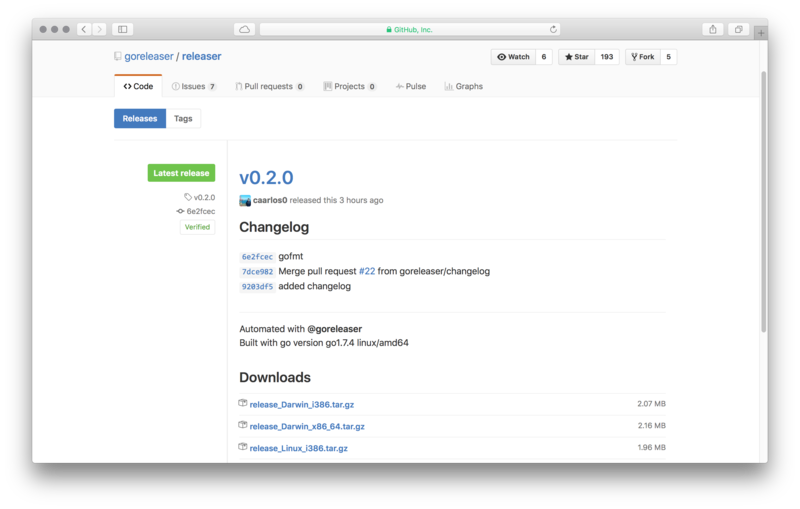 I have some apps written in Go, which I deliver as binaries for each platform using GitHub releases. Until now, I was doing it with a very simple shell script. But, I also wanted to dist these new releases in a homebrew tap. Adding that in the script would be kind of trivial, but I didn’t like the way I was using it all (arguments, hacks, etc). I could, of course, change the formulas by hand, but I’m lazy and that seems just too much work for me. So, time to my shell script to evolve! I believe those features will enable GoReleaser to be even more useful! I was very glad to see the results of GoReleaser!